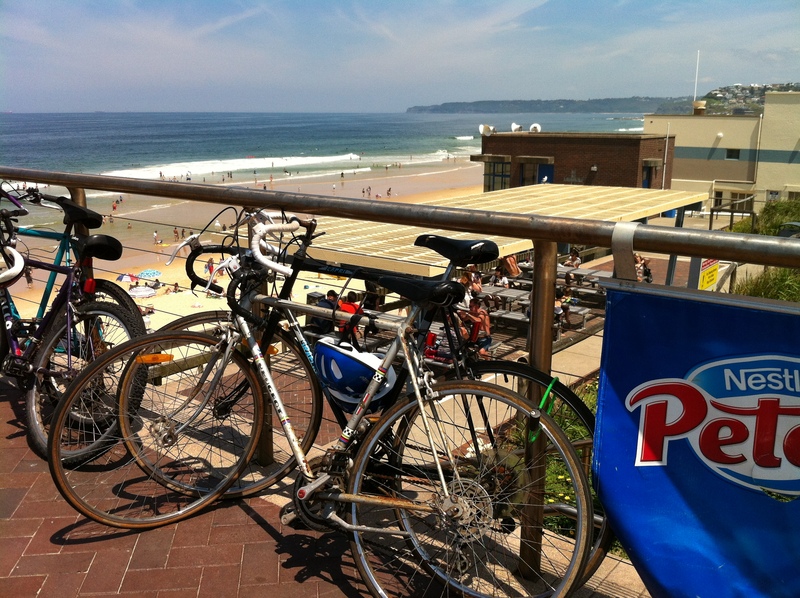 This photo is quintessentially Newcastle because it has the essential elements: Beach, boats and bikini babes. And a bike. The quintessential beach babe, Jen Hawkins, a Newcastle local, entered the Miss Surfest beauty comp and was runner up. Twice. The 2 years before she became Miss Universe. Now you could say that this is because the beach babes in Newcastle are just too beautiful for Jen Hawkins to compete against or you could say that the Miss Surfest judges got it very wrong. I will leave it for you to judge, but in any case we do have the right beaches for Surfest. The boats are the tiny bumps on the horizon: coal bulkers. The saying about taking coals to Newcastle did not originate here, but it did originate in the more famous Newcastle on Tyne after which our Newcastle was named and coal has indeed put Newie on the map. We export lots of it. 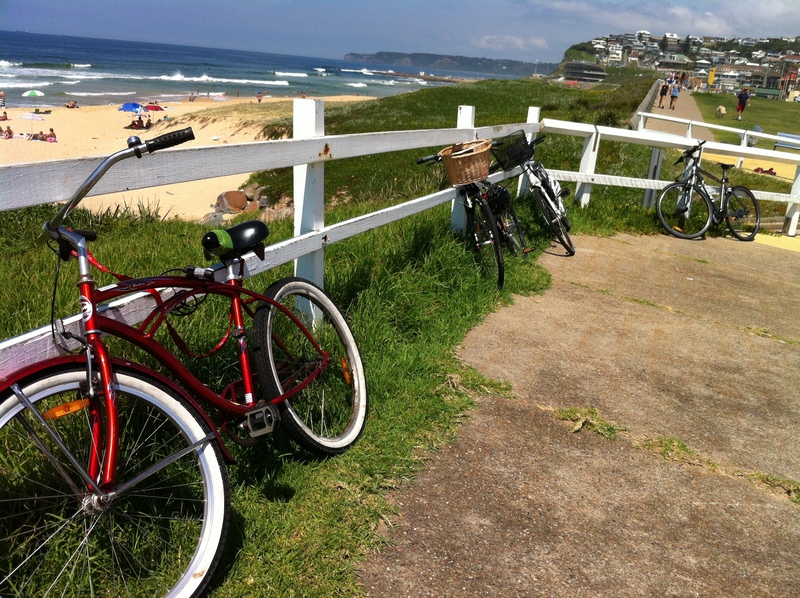 This entry was posted in Beach, Newcastle and tagged bar beach, beach, newcastle, old bike, trendy bikes, vintage. Bookmark the permalink. Jennifer Hawkins is not all she is cracked up to be, she just has a very smart public relations person as does Andrew Johns. Newcastle in England has a very similar outlook to our Newcastle, it has a bridge that the Sydney harbour bridge was designed off and the way of life and the locals outlook on life is the same except for the climat. I like that first photo. 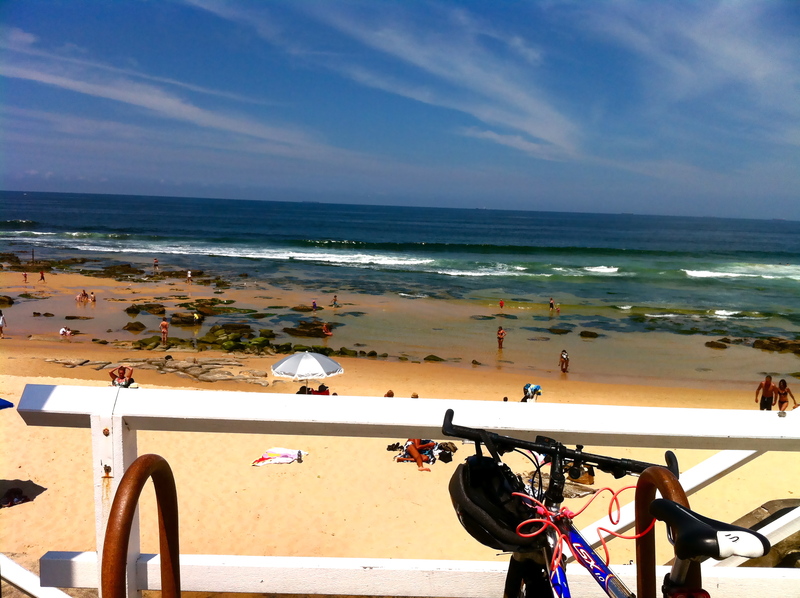 That’s the beach community that I imagined was Newcastle.